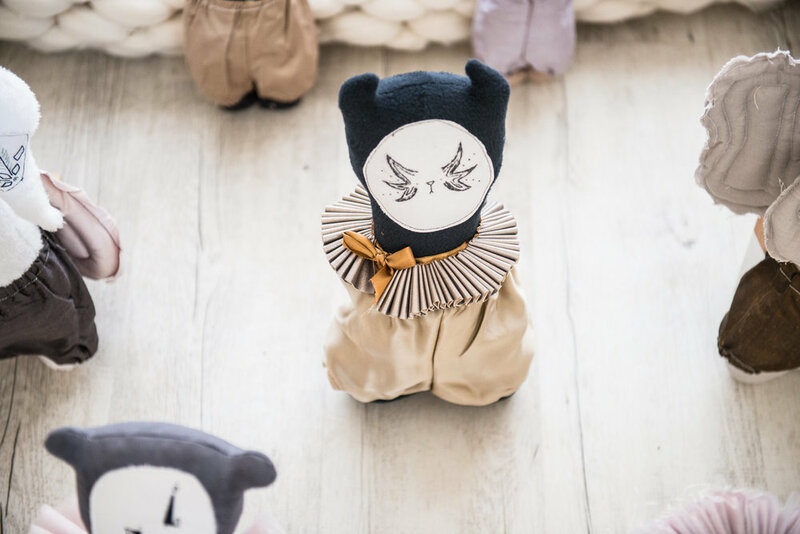 La Fede, which means ‘faith’ in Italian, is a handcrafted heirloom toy company with a difference, as each individually created piece is inspired by a character or a story. 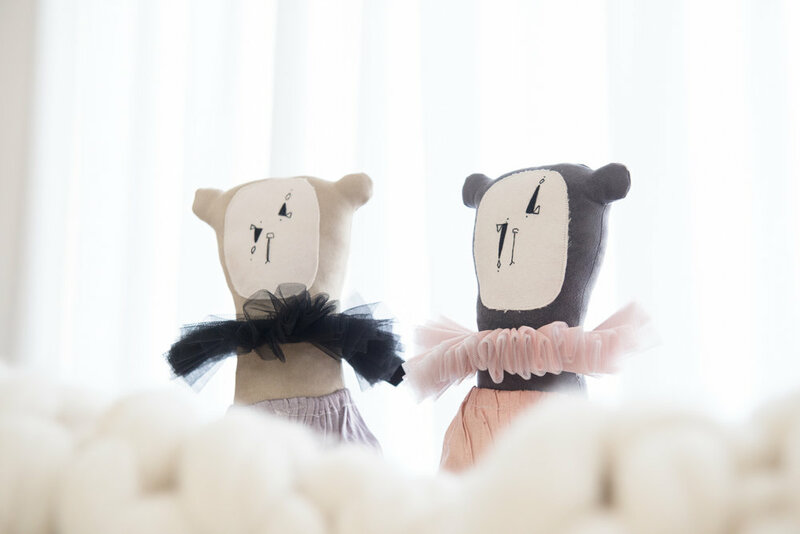 The company, created by South African entrepreneur, Chantelle Beukes, is on a mission to bring a smile to young children’s faces as they harness the power of their imaginations to play with the beautiful, quirky toys she makes. LoA learned more about this creative entrepreneur with a passion for storytelling through the toys she makes. La Fede's core design focuses on a minimalistic approach, a slow craft methodology, and on the quirk and whimsy in the imagination of youngsters. I create animal character friends that are loved and adored by old and young people alike. Small elements of design define the characters, and each character has a story to accompany him, a personality, and an individual viewpoint. My Soft Toy range is complimented by a quirky wooden toy range, which includes Wooden Cars with hand-painted roads, and a range of Wooden Cameras, Wooden SmartPhones, and Bear Threader. Our items are functional, decorative, educational, and they inspire imaginative play with kids. "My range of Heirloom toys are true treasure pieces, lovingly handcrafted in Centurion. Each piece is designed and handmade by me, a true Maker experience for any potential owner." I started La Fede in November 2014 after 12 years in the corporate world. I too, as many other South Africans, faced the reality of being "jobless" after the company I worked for closed it's doors very suddenly. Job-hunting after so many years was daunting, and not at all successful for me. I sat on my bed one morning, and the Verse of Peter walking on the water came to me (Matthew 14:28). I was challenged in Faith to start this business, something that had been a distant desire for years. The Lord had said, have Faith and Trust Me. I took the very last of my capital available and bought my first sewing machine. My mom gave me a crash course on my little straight stitch machine. The months that followed were very hard, building a business on one side, facing the financial crisis in our household, raising two kids, but I've held on to God's Word and His promise. My range of Heirloom toys are true treasure pieces, lovingly handcrafted in Centurion. Each piece is designed and handmade by me, a true Maker experience for any potential owner. "Our items are functional, decorative, educational, and they inspire imaginative play with kids." I run the day to day operations and hand make each character. I have two very eager "samplers" my daughter Addison and Son Max and my husband is my support structure. I was employed in Finance for most of my working life, but have always had an entrepreneurial interest. The journey has been very rewarding thus far, I've learnt so much, and I am thankful for my business management skills that came with a "job in corporate”. My business is fully self funded so my scope of growth has been limited to our own personal financial means thus far. As with all entrepreneurs, there have been many trial and error moments in the growth of La Fede. I've thankfully been able to adapt and change things up as the business needed it. "As with all entrepreneurs, there have been many trial and error moments in the growth of La Fede. I've thankfully been able to adapt and change things up as the business needed it." I'm working on expanding my local retail based footprint currently, growing organically with artisan shows like Kamers/Makers and Sanlam Handmade Contemporary Fair. I've got my sights set on exporting to the European market, and would say that is my short term goal. Everything you do, you do to grow something for yourself, your kids and family. I am a creative entrepreneur, so seeing my toys in the homes of so many adoring children is definitely a highlight for me. There is never a better day than today to start. Collaboration over Competition. And lastly, you may get a hundred "No's" but all you need is one “Yes”.